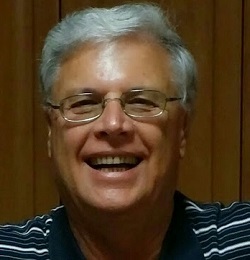 Bruce has been active in book publishing for over forty years. He has held executive positions at several publishing houses including Fleming H Revell Company, Barbour and Company, Thomas Nelson, and Random House. In 1997, he founded Literary Management Group, LLC, a full service literary agency and publishing consulting firm that has represented best-selling authors and properties. Q: What information do you need from an author on their initial contact with you? A: Authors should write a brief query letter with a premise statement. I do not read unsolicited manuscripts or overviews. If the initial query doesn’t have the premise statement, I refer authors to my website so they can be sure the kind of book they are writing is in my area of concentration and core competency. If so, I ask for a proposal and provide a template on the site. Q: Do you consider content or platform first? A: Content is king. A great idea trumps everything for me. A strong platform for an ill-conceived idea or a very narrow market project won’t work for publishers so it doesn’t work for me. Q: How has your agency changed during the past decade? A: We are dealing with a lot more folks who want to write books but haven’t done their homework. Because there are so many places telling them, “You can write a book in two weeks and get it published in a month,” folks think it’s a piece of cake. Q: How would you describe your perfect client? A: Like Sy Syms used to say about his clothing store in the area where I grew up, “Our best customer is an informed customer,” my perfect client is someone with a brilliant idea, who has done their homework on how their book fits in the market, is very active on social media and is a good listener. Q: What are the major trends you see in Christian Publishing? A: The biggest trend isn’t all that new; authors with a strong sales track record have a better shot at being published than do first timers or, even harder to get a contract, authors who have been “under published’ by which I mean their previous book sold under 10,000 copies. And then there is the all-important “platform” upon which the publishers can build campaigns for new books. Authors have to show they know who their readers are and are “touching” them through frequent social media communications. ▪ Autobiographies of amazing stories of how God is working in the lives of average folks. Books that likely would not be published today could include classics like Joni and Hiding Place. ▪ Popular Bible reference and commentaries material for laymen. Would Philip Keller’s classic, A Shepherd Looks at the 23rd Psalm get past the acquisition editor today? Q: What types of Christian books do you specialize in? A: I do not represent fiction, gift, poetry, children’s or academic books. Q: What is the market like for Christian books these days? A: In my more than 40 years of involvement in Christian Publishing, I have never seen a wider acceptance of Christian books in as many sales channels and outlets. As a category, if you are selling books, you are nuts not to include at least the top-selling books and authors in your selection because, given shelf space, they will sell. Q: What are the key ingredients to a Christian author’s platform? ▪ Active social media including blogs, Twitter, Facebook and LinkedIn. Q: What project that you passed on haunts you to this day? A: As a Publisher, I turned down the first Left Behind book three times and both Jerry and Tim have been friends since the mid-70s….! Q: How involved do you get in developing your author’s social media platforms? A: Other than telling them they need to do this, I refer them to the specialists. Q: Do you have any tips that authors should avoid as they approach you? This entry was posted in Interviews and tagged bruce barbour, interviews, literary agency, publishing, publishing consulting. Bookmark the permalink. I just wanted to say thank you to everyone at PTA for handling David Champion's Satellite TV Tour in a professional, results-oriented way. Everything went like clockwork in the studio yesterday. We hit 20 TV stations in three hours�including numerous major markets. There were no problems.